Case: satin-brushed steel. 42 mm diameter. Brown dial. Golden appliqué index and numerals. Golden hands. 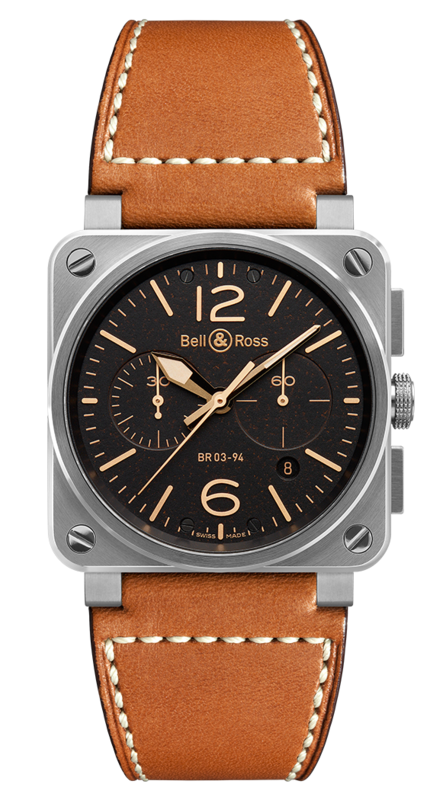 Strap: gold calfskin with a hot stamped finish and black heavy-duty synthetic fabric straps.